Industrial Panel Solutions produces the highest quality control panels in the industry. We build to suit your needs, whether it is a single custom application or more complex hardware solutions. IPS’s manufacturing team has the experience and knowledge to build any type of panel according to your specifications or we will aid in the design process. Our manufacturing processes are focused on quality above all else because we understand the critical role that our products play in your operations. Reliability is crucial to your success. 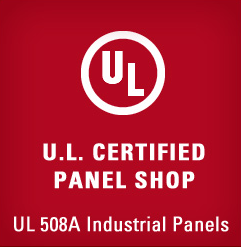 All panels that are manufactured at IPS conform to UL 508A standards, with the abilitiy to manufacture and design to UL 698A/B standards for hazardous locations. Pairing our manufacturing processes with our high level of quality assurance standards ensures that our panels will function correctly and to your specifications, enabling you to minimize troubleshooting upon installation and save time on your startup.